Good heavens TC, am i the only shooter on this forum with any hair? Ern too keep up with you id have to paint my head, instead of dying my hair like you. Vimm i like the way you lean your peggs back so that the rabbit stands on the net before he hits it. Its the same way i set my nets ground permitting.By the way is that a hancock dog you have. The old guy that showed me how to Longnet told me if you can get what your after to tread on the net you have as good as caught it. 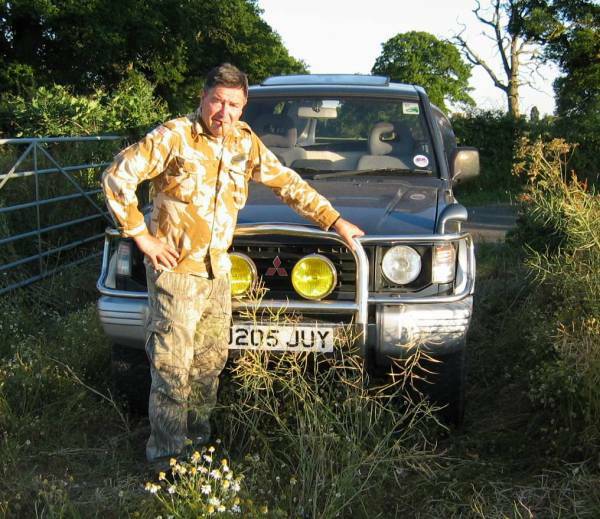 There aint many out there that keeps the old style of hunting going. They would rather go out with lamp and rifle to bang a van full of bunny`s over. As for the dog it is a Hancock bred and dont belive the hype about these line of Lurcher`s. I know quite a few lads that have worked his stock past and present and almost all show the same bad traits. I'm very interested in this, how many rabbits would you reckon you'd get in a good outing? Vimm ive had a hancock dog 15 years ago and will never have another.But thats my choice the dog did not suit me. 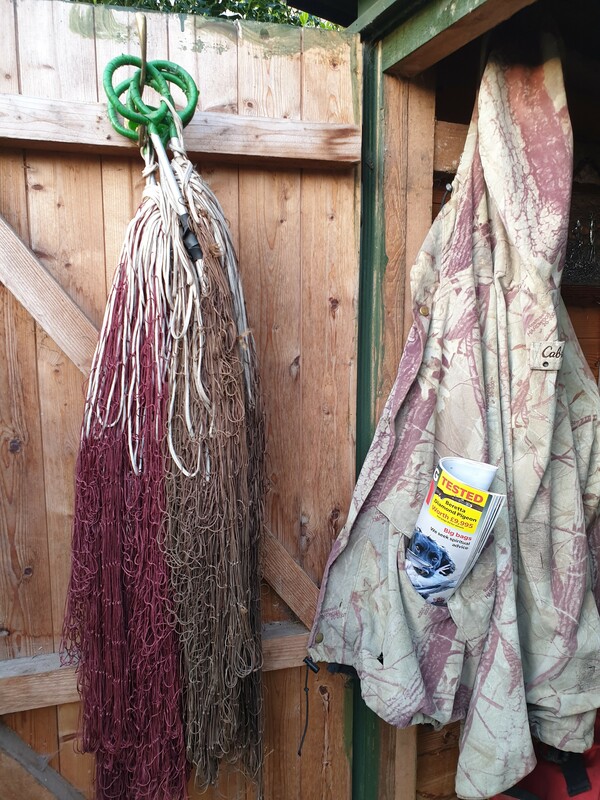 The long netting i do devides into 2 catogorys dogging with nets in the day, and the more traditional night long netting. 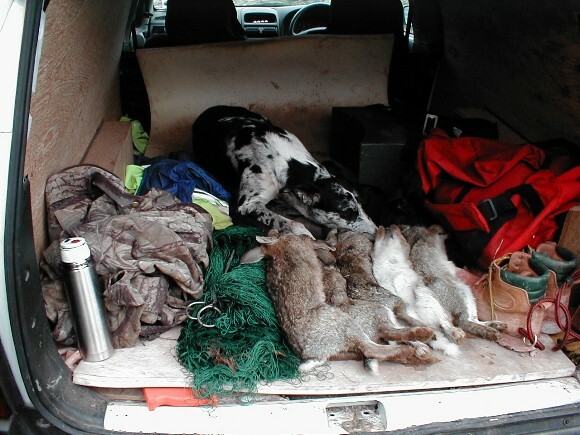 I will say i dont do it for the numbers of rabbits i catch. If i set 100 mtrs of net and have 2 rabbits im happy (there are not many rabbits around here) so its all relitive if i lived in an area thats teeming with rabbits you expect results but im verry happy if i go home with two or three buns for the hawk.I will get some photos this wk of me setting the gear single handed. Same as me tiercel i realy enjoy my day time stop netting with the dog. Mainly i just use a 25 yarder 6z. I also have a 20 yarder 6z and a 50 yarder which is a 4z im happy even if i catch one with the net. 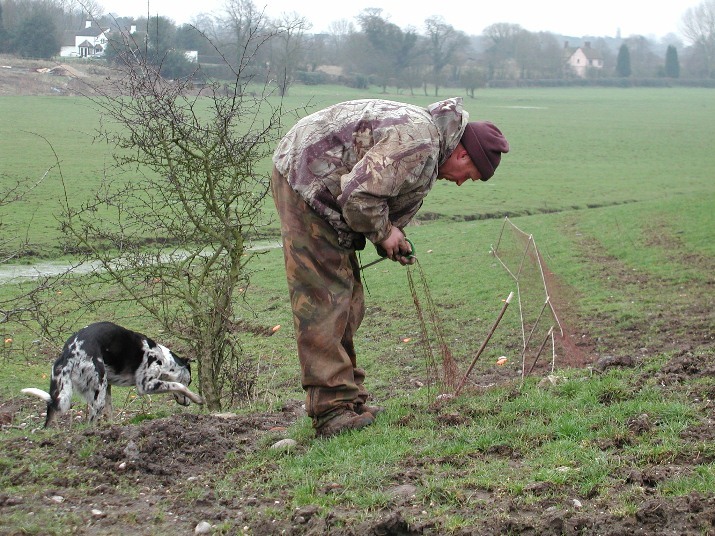 I have used the ready sett methods day and night but you cant beat the traditional way. 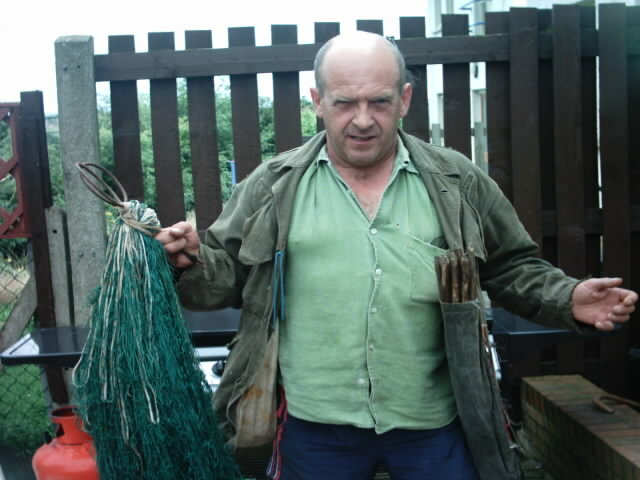 To be truthfull i lamp the dog alot so this cancels the night netting out but if any of the dogs get`s injured i do make a journey out with just the net. How do you flush out the rabbits? Ferrets? I wonder if anyone knows if our tiercel is still with us? Aye a great shame but if I need netting info I know where to look. I felt it was my duty to pass the sad news of tiercel on to my old mate vim. Only I knew that he and tiercel (Allan) good friends from way back. Vim informed me that tiercel was a humble man and also a font of knowledge with a keen interest in falconry as well as Rabbit catching. As a mark of respect to Allan, vim asked if I could post this picture for him in an act of remembrance 16 years on from Allan`s posting.. 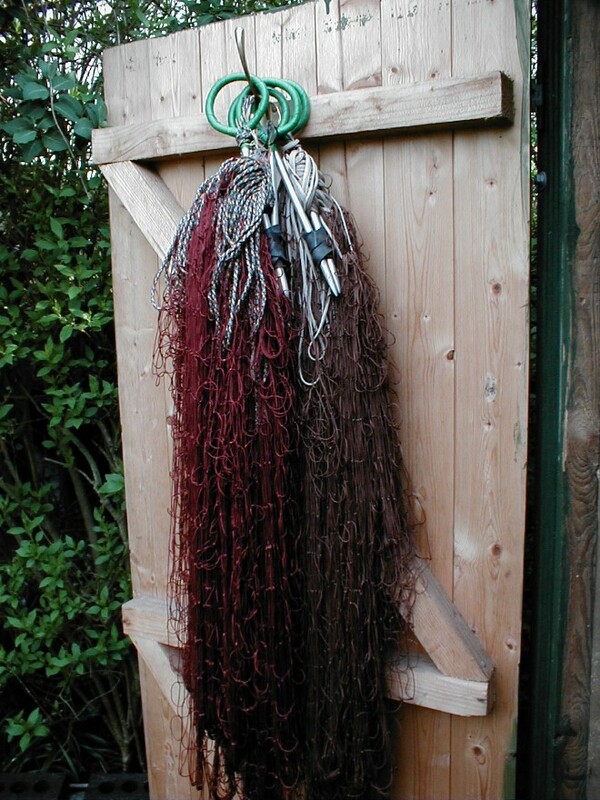 Thanks for those pictures, I've had fun untangling purse nets in the past, heaven knows how long it would take me to sort out a long net, always like reading and looking at pictures of net work and lurchers.